Like many people today, I am often overwhelmed by the sheer amount of quality media being released seemingly daily. If I had a nickel for anytime someone has said to me something along the lines of, “you haven’t seen The Martian? !” or “why haven’t you caught up on The Walking Dead?”, I’d have enough money to actually pay for movie tickets so I wouldn’t miss anything. This is why I took on a challenge. Last year, Doug Benson of the “Doug Loves Movies” podcast and various Netflix stand-up comedy specials issued himself a challenge to watch 365 movies (that’s a movie a day, folks). In an effort to catch up on some critically-acclaimed (and some not so critically-acclaimed) movies I’ve missed, I’m attempting this challenge for 2016. So far, I’m 33 films in (admittedly 6 films behind, but nothing some elbow grease and shirking other responsibilities can’t fix), and I’ve encountered some great films that can be found in the Browsing library here at Media Services. 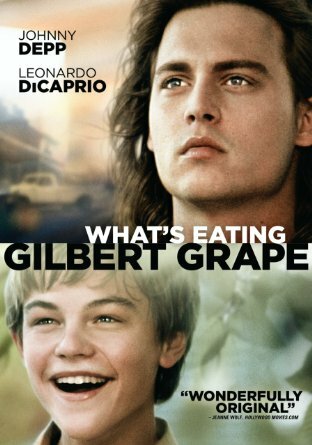 Now I was way behind on this one, but between hearing the hype about how brilliantly a young Leo Dicaprio portrays a mentally-disabled teenager, and the desire to see a young Johnny Depp playing a more down-to-earth character, I had to finally watch What’s Eating Gilbert Grape. This film mainly follows the relationship between Gilbert (Depp) and his disabled brother Arnie (Dicaprio). Between having to be the main breadwinner for his brother, two sisters, and shut-in mother, struggling to keep the curious (often to a dangerous extent) nature of Arnie in check, and pining for the affection of a young lady (played by Juliette Lewis), Gilbert does a lot of growing up in the time the movie takes place. Wonderfully acted by the whole cast, especially Dicaprio, who earned a Best Supporting Actor Oscar nomination at just 19 years old, and beautifully shot in a rural Iowan setting, I highly recommend this film. 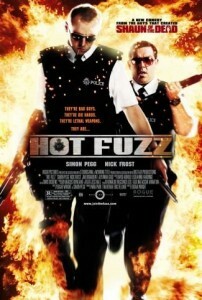 Now for a slight shift in tone, another film I’ve finally watched recently was Hot Fuzz. Being a big fan of Shaun of the Dead, the involvement of stars Simon Pegg, Nick Frost, and director Edgar Wright was an immediate draw for me, I just hadn’t gotten around to seeing it. This movie, like Shaun before it, is a send-up of a popular movie genre, this time being the buddy-cop movie. While the adventures of the perfect record-having Sgt. Nicholas Angel (Pegg) and the screw-up son of the town’s chief inspector Danny Butterman (Frost) poke loads of fun at numerous buddy-cop tropes from over the years, it does it from a place of affection and appreciation of those films, much like the spoof pioneers Mel Brooks and the Zucker Brothers. If your a fan of films like Airplane! and Blazing Saddles, and you don’t mind explosions either, this film is right down your alley. 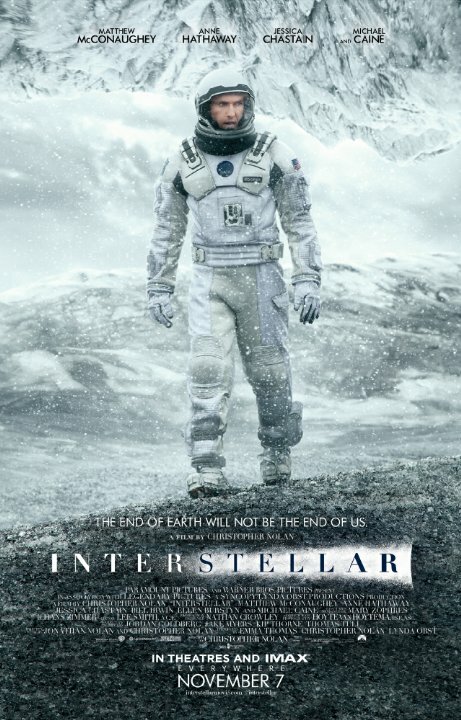 In perhaps my biggest mistake of 2015, I missed out on seeing the masterful Interstellar in theaters. Initially I wrote this film off as a clone of 2014’s Gravity, and didn’t have much interest to see it. But after hearing critics sing the praises of Matthew McConaughey and seeing that Christopher Nolan, who directed my all-time favorite movie The Dark Knight, was also attached to this, I decided to give it a shot. I was not nearly prepared for the heartfelt, visually stunning, and blood-pumping saga that I was in store for. In the not-so-distant future, Earth is ravaged by sandstorms, and food is more scarce than ever. 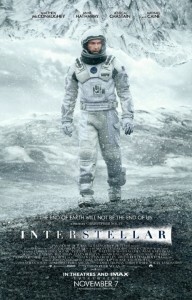 In a last-ditch effort to save humankind as we know it, Cooper (McConaughey), a former pilot, must lead a space mission to find other inhabitable planets in our galaxy…or outside our galaxy. With an epic score by Hans Zimmer of Inception fame, a stellar (pardon the pun) supporting cast including Anne Hathaway, Michael Caine, and Jessica Chastain, and elements of adventure, suspense, and even sci-fi, this film is not to be missed. I missed this film for over a year, and after watching it once it instantly got on my short list of favorite movies. Do yourself a favor and pick it up from Media Services today. If your interested in widening your film horizons, or even taking the 365 movie challenge like me, stop in Media Services in the Reference Reading Room at the Wells Library today! If you feel so inclined, leave comments below telling what movies you’re adding to your list and how for into the 365 you are! Now if you’ll excuse me, I have to check out numbers 34 and 35 on my list right now.